Do you work and live in Laguna Beach? Do you agree or disagree with the following statement: This year’s City Council election is the most important one in the last 10+ years. Which recent restaurant news are you most excited about? Do you support Cantrans’ proposed changes to the 133/Laguna Canyon Road? Maggi Henrikson reports of a $3 million Laguna Beach home sale via cryptocurrency. Do you personally possess cryptocurrency? Will you vote in favor of a one-cent sales tax increase from 7.75 percent to 8.75 percent, to help fund the undergrounding of utilities on Laguna Canyon Road and other evacuation routes, should it end up on the ballot in November? 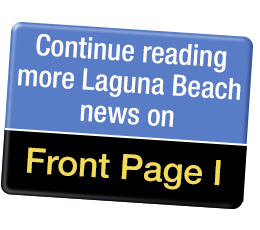 Over the last year, we’ve had many new eateries open in Laguna Beach. Do you have a favorite among these? As a Laguna Beach local, how many times have you gone for an ocean dip this summer? City Council recently denied Alessa’s Forest Avenue parklet extension. Do you agree with their decision? In your travels to anywhere, have you personally used Airbnb? Have you taken advantage of our City’s free trolley program yet this summer? Will you vote to legalize recreational marijuana in California in November? If you were a British citizen, would you have voted to leave or stay in the European Union? As a local, when you go downtown in Laguna Beach, which of the following beckons you most often? Meet with friends for coffee, etc. Summertime is beautiful and busy here in Laguna - and it's right around the corner! What is your favorite thing about the next few months ahead? The current fervor over the Forest Avenue parklet is huge. Despite how you may feel about it now, would you be open for something similar in the future? If you could, which of these former Laguna Beach residents would you most like to have over for dinner with friends?